So this is one of those stupid things you have to pay near $100 dollars to use, so you can do your online homework. 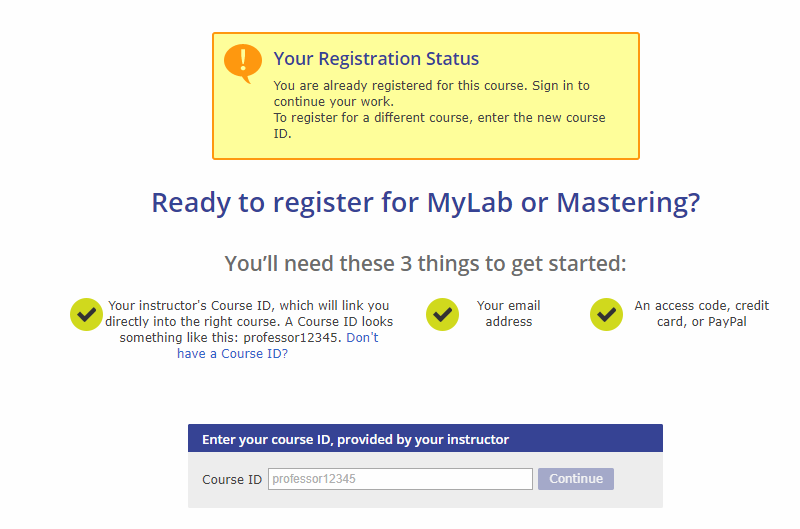 After using the free 30 day trial and purchasing it for real, it now wants a course id, for a class I was already in and doing homework in. The problem, is that my professor said there is no class id since it links directly from a school website that already knows which class I’m in, and to sort the issue out with pearson. So I contacted them, and I’ve been in chat for over an hour with someone telling me it’s a browser issue and to keep clearing my cache/history, restarting my browser, and trying again. Which has never worked on any browser. And now after an hour and a half, the help desk person has finally confirmed, that I indeed, do not need the course id. Just kill me if this is what the future is gonna be like.